Comes with all the parts included in the bike photo. Best for riders 5' 8" to 6' 2" tall. Enjoy building this bike with a person who is experienced with single speed bicycles. Easy to learn. Pros: Received the Stretch Cuda Cruiser yesterday morning. It was very well packed. The parts arrived flawless; no dents, no scratches anywhere. Explained to Gary I worked for UPS for 10 years in the warehouse and how the loading and unloading of tractor trailers is done. That may have contributed to the extra care in packing this bike. The bike itself is very high quality. I currently own an Electra Townie and I believe the Cuda even exceeds the quality of the Townie. It does look like the picture, not at all a disappointment in person. It is, IMO, the nicest looking bicycle I have ever seen. Again, in my 60 year old opinion, I would dare say possibly the nicest looking bike in the world. 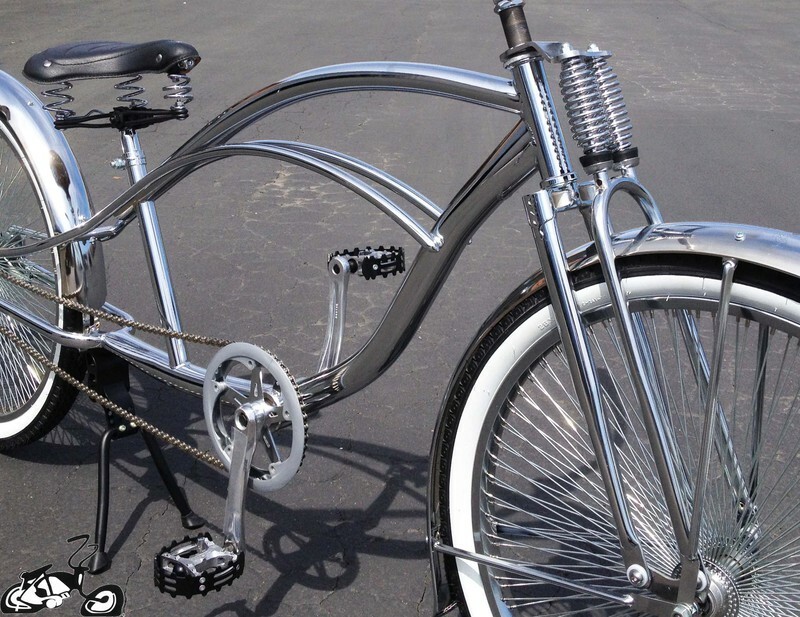 Can't say how it rides yet but knowing it's steel with a springer type front fork, I have liittle doubt I will love it. The bike shop will assemble it with the widest tires the rims will accept, which will add to the smooth ride. Considering putting an electric motor on it. Cons: The bike itself is so good that the cons I will mention cannot take away from the 5 star rating of this bike, it is that outstanding. The cons are only temporary: The crank set was not included (an honest mistake, he is sending it). And the second con; The chain has white links! Kinda weird. If he doesn't send a normal chain, I will replace it, no big deal. Also know the star crank pictured is no longer available, Gary is sending me the nice diamond crank set. The bike is five star, these cons are correctable. At 6'1", I hope this is stretched enough, don't know yet.